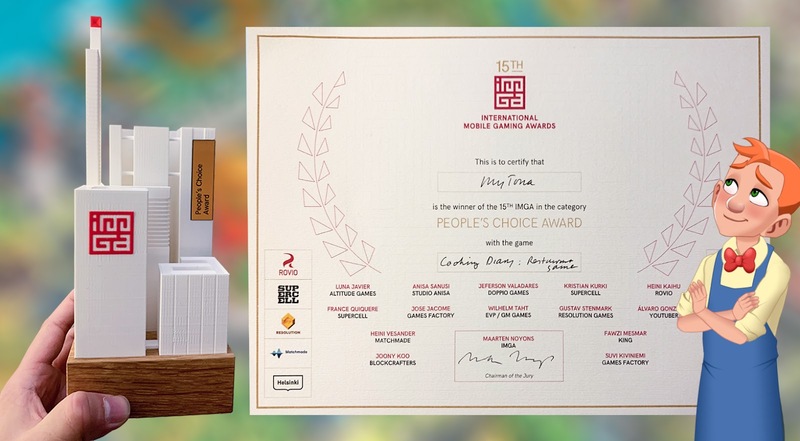 IMGA → Connect → News → Industry → Cooking Diary fans vote MyTona for People’s Choice Award! It was an exciting win for MyTona at the 15th International Mobile Gaming Awards last March 19. After counting the online votes, their game Cooking Diary won the award for People’s Choice! We reached out to the Cooking Diary Team for an interview. Congratulations on winning the award for People’s Choice Award! Do you have anything to say to your fans? 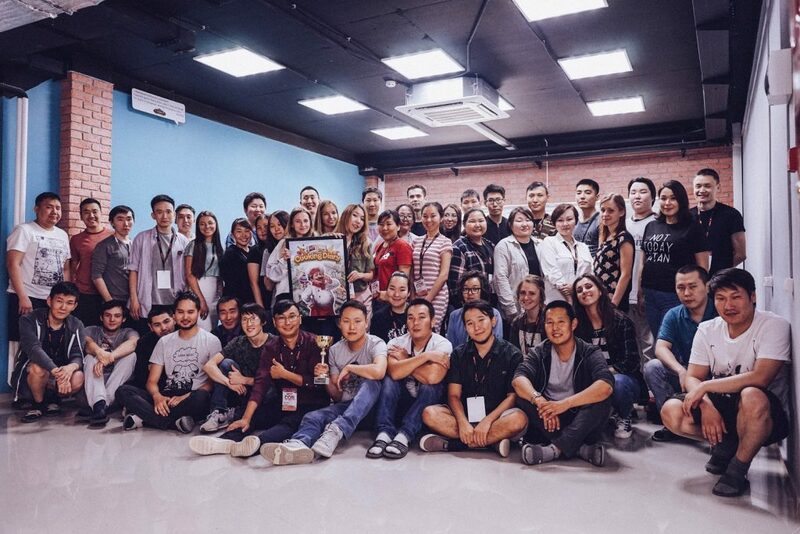 For us, receiving the “People’s Choice Award” means receiving the recognition from players all over the world, and we are grateful to them every day for their support and inspiration. We carefully listen to their feedback and reviews, and together with them we create a unique time management game. This Award is the result of our communication and love for the game! A lot of people love your game! What do your players say they love about it? We’ve noticed how players love to play in community. Generally, inside the company the working title of the project was Social Time Management. We initially set ourselves a task to realise as many social interactions between players as possible – visiting each other’s restaurants, exchange gifts and lives, guilds of chefs and the competition between them, the use of guildsmates as assistants. It worked, because playing with friends is much more fun! Get help from friends in Cooking Diary! Image by MyTona. Hence the second important component – customization of the player. Our players can choose any appearance and clothes they want. A strong socialisation that makes players care about their appearance so that other players can see how cool your character is. In addition, you can fully decorate each restaurant in the game to suit your style and taste. Customize your character! Image by MyTona. Plus, we polished the balance of levels for a long time to make the levels as dynamic and fun as possible. Here is the fun – the most important point, for which players love Cooking Diary! What did your team enjoy most about developing Cooking Diary? Probably the most exciting feeling for a developer is watching players interact with the world you’ve created. How they interact with each other, how they discover new game mechanics, how quickly they become super-fast and cool chefs, and when players leave their valuable and positive feedback after a new update. What were some of the challenges your team faced during game development? Probably the most interesting, and at the same time the most challenging part was the soft launch, which lasted for 9 months. During this time we were able to polish the gameplay, establish the economy of the game, create a huge amount of content, and introduce many new features, such as guilds. We can say that we were looking for the perfect balance of time management games and during the soft-launch were able to find it. Of course, it was difficult months, but our team made it! Cooking Diary is a simulation, time-management game. What sets it apart from similar games of the same genre? Before we’ve started working on Cooking Diary, we carefully studied the market of time management games in the culinary theme. At that time there were few games in culinary style. First of all, we combined socialization, customization and added an interesting plot in the style of the TV series. There were only a handful games in the market which included all these features at once. So we tried to close the gap, including in Cooking Diary popular mechanics from other genres. Encounter interesting characters. Image by MyTona. It is worth mentioning that the players are very fond of the culinary capital of Tasty Hills and closely monitor the plot of the game. Quite a lot of players pass level after level, not only to open new restaurants, but also to follow the dialogues. The game world contributes to a deeper dive, the plot justifies what is happening, the player becomes a direct participant in the events. In game goals become more significant. In this case, the story inserts give a break between intense levels. By the way, our characters are real, one of them has an Instagram account. Her name is Vivien and she’s a food blogger in Tasty Hills – @real_vivisaur. What’s next for the Cooking Diary team? Any updates we can look forward to? We are confident that the game will achieve more and will multiply the number of players around the world. But to achieve this, we need to work hard. Now we actively support the game – we add two restaurants each month, continue the storyline, work on new features. And of course, create exciting events, such as Food Truck, which our players are very fond of for its extraordinary experience with classical mechanics. Players can expect a lot of new and interesting content and features this year, we can promise you! The people behind Cooking Diary. Image by MyTona. Last question! What advice can you give for people aspiring to get into game development? It’s a kind of big question. But saying generally – you should love games to make ones. And not just love to play them, but love to analyse how they work, how they make you feel what the developers want you to feel. And if all this inspires you to make games, then you should be in our friendly game development industry. We would like to thank the Cooking Diary Team and the wonderful people at MyTona for answering all our questions! We congratulate you again for winning the People’s Choice Award and can’t wait to see more great features from Cooking Diary!